Today, the Otago Daily Times reports that business owners in the Harbourside area around Roberts and Kitchener Streets oppose a “proposed” cycle route along Wharf Street, and claim that there has been no consultation and they have not been listened to. However, In June 2013 the DCC consulted on a proposal to completely close the Roberts/Wharf intersection, which was strongly opposed by businesses in the area. The DCC listened and went back to the drawing board. All the business owners in the area have known about this project for more than a year and have had the opportunity to be involved in the process. The newly proposed changes are now being consulted on again, as was reported in the ODT two weeks ago. Consultation is ongoing even now and included letters delivered to businesses in the area, so to claim that businesses have not been consulted or didn’t know is disingenuous at best. In fact, this time around the DCC has been the exemplar of community engagement. The newly proposed changes to the Roberts/Wharf St intersection were put together by a working party that initially included the owners of Dive Otago, Bodyline, Preens, and Otago Real Estate acting as representatives of businesses in the area, although the owners of both Preens and Bodyline declined to continue because of the time and effort required to be fully involved with roadwork planning. 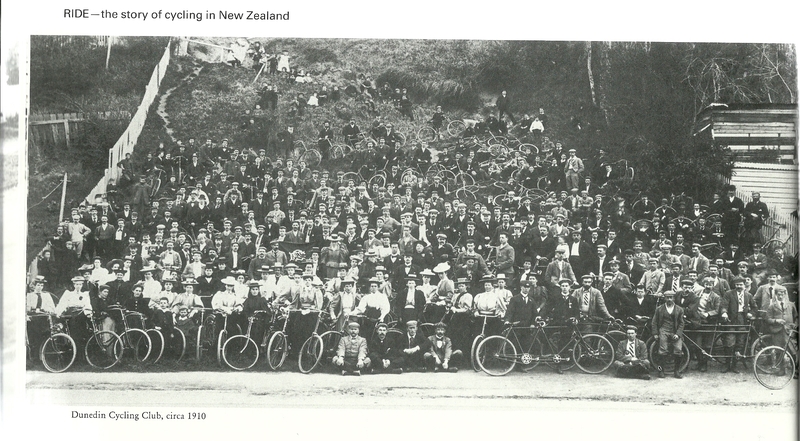 SPOKES Dunedin chair Robert Thompson acted as sole representation for cyclists, and there was additional representation from the AA, fire service, police, and KiwiRail. This single intersection has quite possibly been the most consulted on road project the DCC has ever done! In the ODT’s article both the businesses and the ODT itself have failed to recognize that this is not a proposal to build a cycleway along Wharf St. The cycleway is already there. It has been there for years and hasn’t affected businesses. This proposal is about improving that existing cycleway by making the Roberts St intersection safer. Currently, the Roberts St crossing is actually wider than Wharf St itself, and the proposal is really a pretty modest change that would create two smaller crossings with a refuge island in the middle, rather than one massive crossing. To be absolutely clear: The minor changes to access at this intersection have nothing to do with cyclists or the presence of a cycleway. Any access changes result from the fact that the intersection is behind a blind curve on a very busy, high speed road. Turning right out of that intersection is dangerous because you can’t actually see cars and trucks coming around the corner, it has nothing to do with cyclists. It makes one wonder whether the proposed plans have actually been looked at or whether another anti-cyclist protest has been organized at the mention of the word “cycleway?” SPOKES Dunedin has heard that most of the people shown in the ODT’s photo are staff from a single business, so the latter does seem to be the case. This entry was posted in Infrastructure, Policy, Uncategorized. Bookmark the permalink. Wow. So many parallels with plans to improve a cycling lane through Island Bay, Wellington. Council consulted normally, 4 weeks, meetings, leaflets, website. Chose a kerbside, parking-protected design and sent it off for detailed design. Some residents complained about poor consultation and started a petition. Lots of red herrings and misinformation. My reading is that we are talking past each other. The petitioners’ narrative is “you can’t come to our suburb and do stuff without asking us”. The other narrative is “hey, we’re trying to upgrade a poor quality cycle lane. What’s the problem?” Lesson: MUCH better engagement and consultation needed. The more members, the more likely Dunedin becomes a good place to be a cyclist. Find out how you can add your voice to SPOKES! Graham Anderson on 2014 year in review! Something happen while you were riding? Report hazards, accidents and bad drivers in Dunedin.